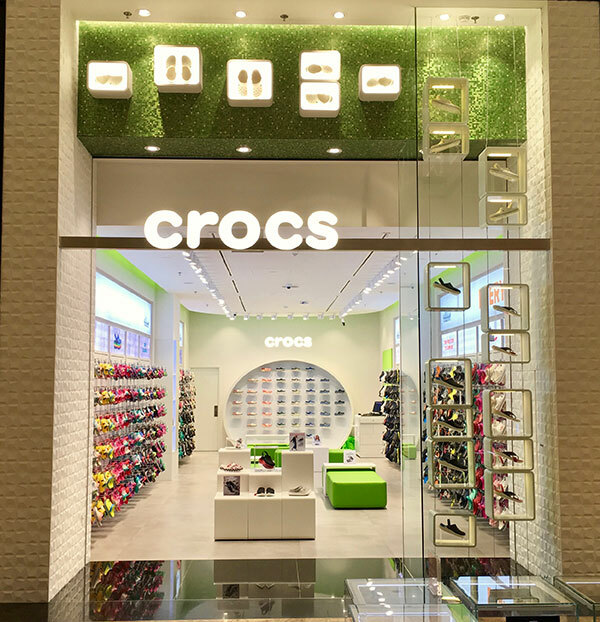 Crocs, Inc. (NASDAQ: CROX), a global leader in innovative casual footwear for women, men and children, announces the opening of the flagship store at The Mall of Emirates in Dubai. 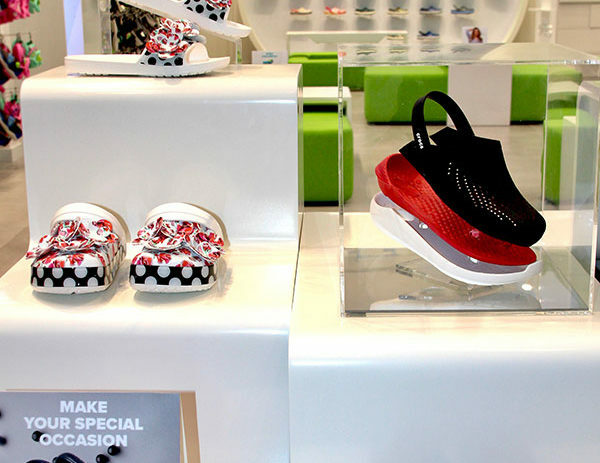 The store is a unique design and features iconic comfort footwear for men, women and kids with a social media wall and intergreted digital kids games. Digital header screens also showcase the latest collections just launched. 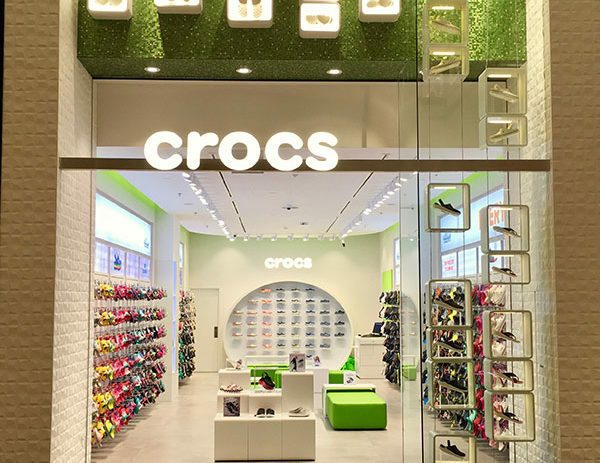 Within the 75 Sq Metre store you will find Crocs clogs, sandals, flips and slides for the whole family. Collections include the recently launched Crocband Platform clog for women which features a 1.5-inch platform sole across four key colorways, including Black/White, Light Gray/Rose, Black/Black and Blossom/White. Incredibly light and fun to wear, the Crocband™ Platform Collection also includes pivoting heel straps and deeper heel cups for a more secure fit. Timeless Clash collection for women comes to life by combining several fun and on-trend themes, including polka dots, three-dimensional rose florals and pearls. The mash-up of these elements creates something very fresh and unexpected from Crocs. 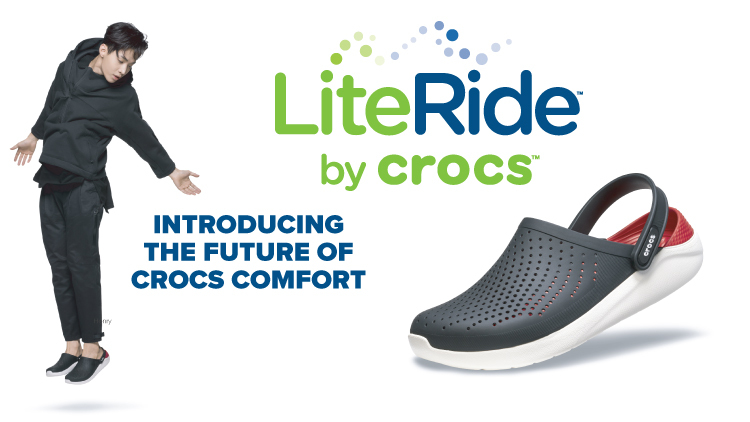 Created from “equal parts science and magic,” LiteRide, a revolutionary closed-cell material, reinforces Crocs’ dedication to comfort, delivering consumers a delightful mix of support and sink-in softness. The newest Innovation in Comfort Technology comes in a variety of styles for men and women. In 2017, we sent an invitation to the world to embrace individuality and COME AS YOU ARE! Starring Film actress Drew Barrymore, the campaign runs in 2018 as a celebration for all of those who accepted our invitation and are comfortable in their own shoes. The campaign is all about embracing the ‘Come As You Are’ spirit and being comfortable with your true self in all that you do.